This file image shows homes in the Coal Harbour neighbourhood. 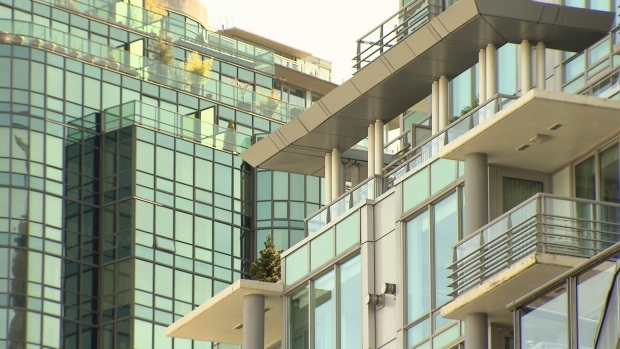 The British Columbia government is raising the threshold for the 2018 homeowner grant as residents receive letters this week indicating the assessed value of their homes is up again. Now, anyone who owns a home under $1.65 million is eligible for a $570 basic homeowner grant. The government says raising the threshold means the grant would be applicable to 91 per cent of B.C. homes, the same percentage as last year. The province has steadily increased the threshold over the last few years as the value of real estate has climbed, from $1.6 million last year and $1.2 million in 2016. Homeowners aged 65 and over can claim a grant of $845, and those in northern and rural B.C. are eligible for a $770 deduction. In order to claim the grant, a home must be the owner's principal residence.